My coaching style is person-centred – I am both supportive and challenging, creating a secure space in which clients can explore, reflect and move forward, leading to positive change for themselves and for their organisations. 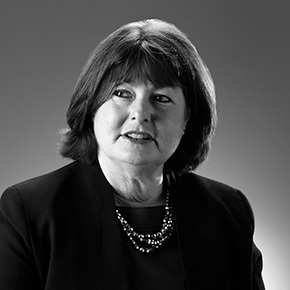 A Chartered Accountant with a business background gained in Audit at Deloitte, Heather joined the Executive Search and Selection division of Price Waterhouse in 1990 and was a headhunter for 16 years, the last four as an Associate Director at Veredus. Heather’s search and selection expertise at senior levels spans all sectors. Since 2006, she has focused on developing her coaching skills and, alongside this, has gained an MSc in Executive Coaching from Ashridge Business School. At EA, her coaching and career transition clients have been at Director level in both the private and public sectors, and have benefited from the perspective that she has gained from her business background, headhunting experience and coaching expertise.